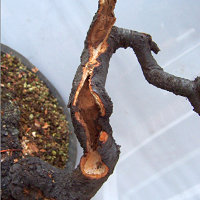 One of the greatest native UK species for bonsai, it captures the essence of how and why bonsai should be done. 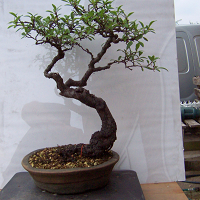 This particular tree came into my possession in 2007 on a rare trip back from Japan. 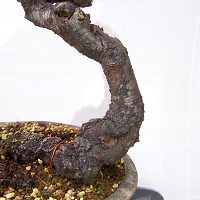 It had been in a bonsai pot for a number of years and worked upon but the owner had begun to move more towards suiseki and lost interest in bonsai. The tree was snapped up without question and initial work was done on the dead wood section and some basic branch selection. Over the next few years it was allowed to grow freely and then cut back, repeating the process year after year. 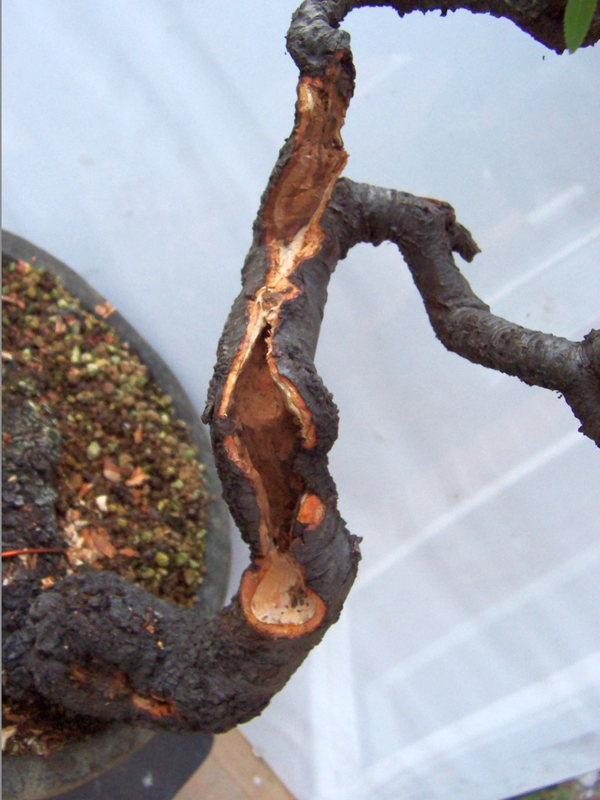 At Saruyama Bonsai, work on blackthorn is done pretty much with scissors and fertiliser with minimal wiring done allowing the growth to extend before cutting back to a suitable bud growing in the desired direction. Defoliation is done in the summer when appropriate, and the cycle is repeated and repeated until step by step the tree comes into being. 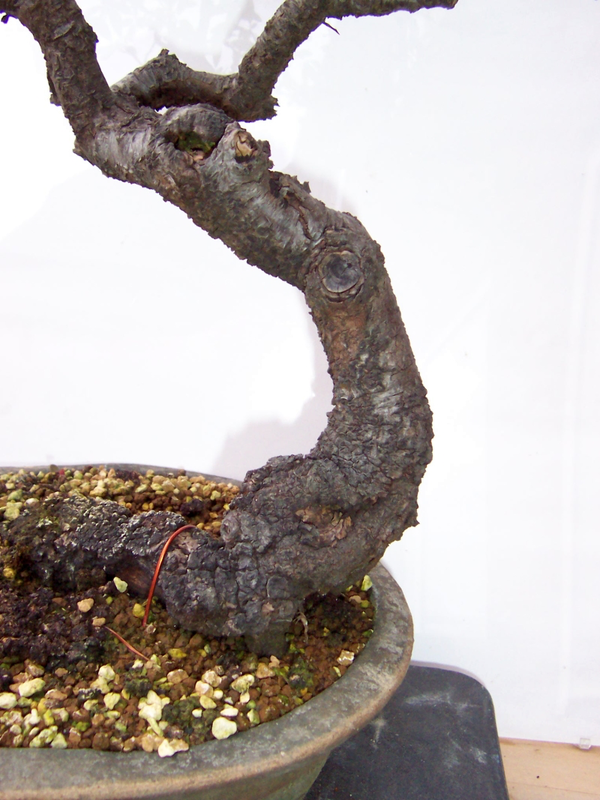 This creates a natural looking branch structure, far removed from the artifice of some bonsai. During the early years of setting up in the UK, the tree was sold to a client who is one of my closest friends and he has done a sterling job of looking after it. It was displayed after a great effort to slow down the blossoming at the Best of British in 2011 and then at the BSA exhibition in 2012. It has also made an appearance at the Noelanders Trophy in Belgium. 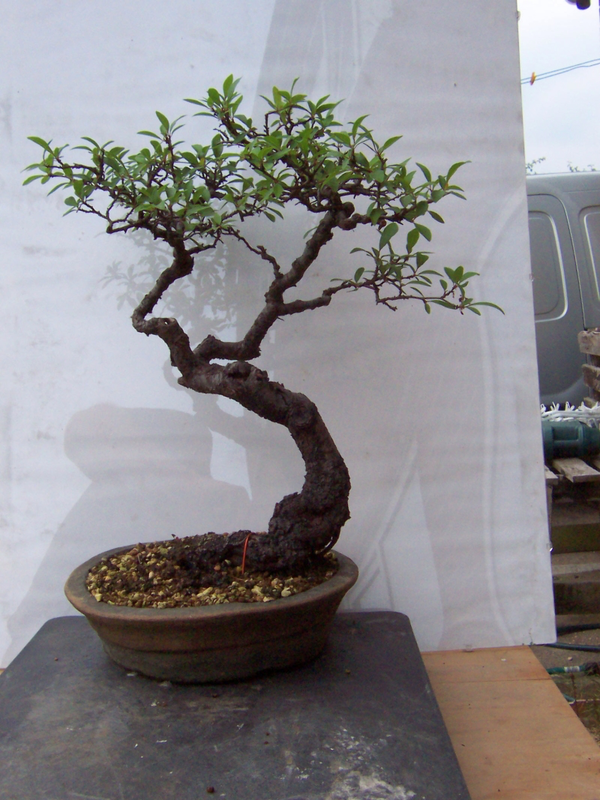 This tree will continue to improve over the coming years and will surely become a well-known European prunus bonsai. Some tree give you an immediate sense of satisfaction, others such as this one are slow burning. Developing this tree over the last decade and having the tree find the right people to look after it has been a constant source of pleasure for me.